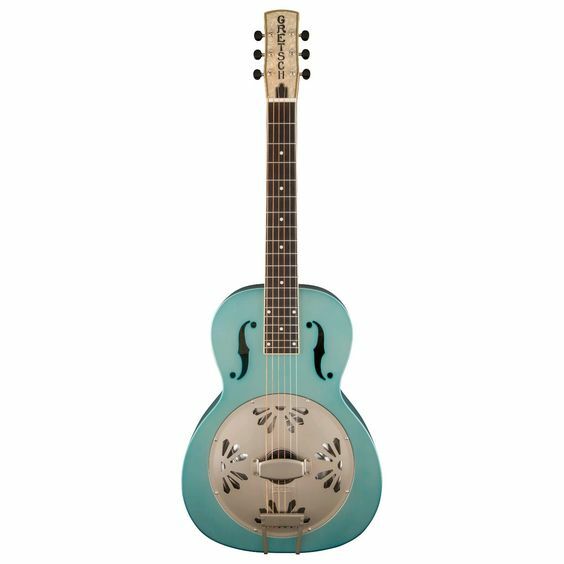 I'm a vintage guy, but my one weakness for the newer models Gretsch puts out includes... anything in blue. My avatar photo shows my 6120 Blueburst, Brian Setzer Hot Rod (Regal blue), and one of Rocky's FSR blue quilt-top Jets (and my foot). Not being able to keep up with the newest models presented in blue, let alone all the Custom Shop Falcons and Penguins, I've had to be satisfied collecting photos of these lovely beasts. Here's that collection... please add any/all that I've missed! Lovely pair... in blue of course! This was a real eye catcher coming out of the Custom Shop! I think I like the color on this Japanese exclusive quilt-top jet better than mine. THIS ONE was unexpected, but oh so awesome... metallic blue Super Axe! An older entry into the pageant... a Nightbird acoustic. I don't dig the pickguard, but the Ice Blue finish on a Falcon works! I'm the same way with natural blondes. This was the "other" blue FSR Jet that Rocky released, in flamed maple. This was another FSR Jet, done in Ocean Turquoise. I can't recall which retailer offered it. Nice! If you prefer Dyna's, this lake Placid blue Jet will do! Not for everyone, but I LOVE the gold hardware against this royal blue finish! Maybe the only double-cut Jet I might consider. If you must have 3 Filtertrons... then Ok.
Blue Sparkle seems to pop up a lot from the Custome Shop. A double-cut Falcon. But I think I like this Filtertron version best! 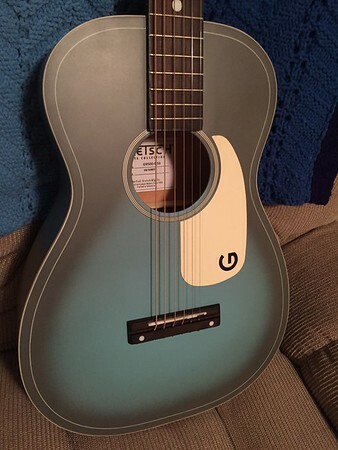 Another older release... Sweet 16 acoustic in blue. Is this Penguin really a Sonic Blue?